The URBACT OPtion for ACTion (OP-ACT) project focussed on the strategic positionning of small and medium size cities. For three years 10 cities from Germany, the Netherlands, Hungary, Romania, Spain, Latvia, Norway, Austria and Italy worked together. Here is a short word by Mr. Hanns-uve Schwedler, OP-ACT Lead expert, published in the project Newsletter, we thought it’d be nice to share it with you. We already wrote a few times on the issue of shrinking cities ( in particular on Polish Cities and on Romanian Cities). OP-ACT project results propose some solutions this daunting challenge. The necessity to develop a cross-sector approach stands out as one of the keys for success! ‘Population figures in most European countries will come down – in some cases, massively – in the next number of years. Apart from a very few exceptions, major cities will not be affected by this. It is primarily rural areas, and small and medium-sized cities which will be exposed to this development. The impacts of shrinking can already be perceived in many european cities: vacant dwellings, derelict land, deserted inner cities, dilapidated neighbourhoods – these are only the striking results. Less obvious, but just as significant, are lower revenues in municipal budgets. This means local public services will be cut back – whether this occurs in social and educational fields or also in technical infrastructure provision. the quality of life and purchasing power in the respective cities diminish, the city‘s ability to compete falls. In spite of these developments cities are able to do quite a lot to improve and to stabilise their situation. This has been shown by the work of our ten partner cities. What steps and measures in detail were involved depends of course on the situation in the city in question. However, in every case their Action plans came into being with participation of many sectors of the population. This is probably one of the most obvious and most relevant results of the OP-ACT project: cross-cutting problem causes, as it is the case in shrinking cities, can not be met by traditional, i.e. sectoral policy making and administrative action. These challenges require integrated, interdisciplinary approaches and the involvement of citizens. integrated urban governance is the key. Interested in OP-ACT results? Check out their output page on URBACT website or their final report and recommendations. 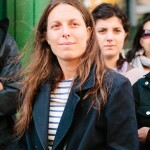 Ségolène Pruvot, on the basis of OP-ACT Newsletter.